Mike Mill’s melancholy study on love and loss, Beginners, premiered (U.S.) at the SXSW Film Festival back in March. While there, Mills sat down with me to talk about his film, which stars Ewan McGregor and Christopher Plummer and comes out in theaters on June 3. McGregor plays Oliver, a man dealing with his father’s death and his own difficulty finding a lasting relationship. Through a series of flashbacks, the audience follows Oliver through the last few months before his father’s death. Already dealing with his father’s illness, these months are made more tumultuous when his father (Plummer) comes out of the closet after 40 years of marriage. Check out the interview below. That concludes the interview but many thanks to Mike Mills for his time. 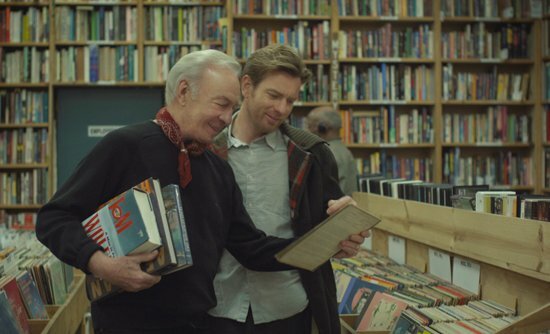 Be sure to check out Beginners when it hits theatres on June 3rd.